Recently, I called my Telecom provider to ask some questions: how could I increase my plan with them, and what did I need to do to ensure I had global roaming on my phone for my upcoming overseas trip. I was answered by a Speech Recognition System that could not process my prompts. Firstly, it was very frustrating talking to a Speech Recognition System that kept asking me to repeat my needs in “a couple of words” so that it could direct my call to the most appropriate person. I was prompted 5 times for a response, and in doing so gave a different, shorter, more direct answer in the hope that the cheery automated voice would connect me to a live person. This customer was already frustrated and annoyed before I got to talk to a person! 1) On a regular basis you and/or your Team should play the part of a customer calling into your CC (Contact Centre) to ensure that your SRS is working for you and not against you to service your customer needs. 2) Ensure that you SRS is able to understand the prompt “speak to an operator” and is able to push the call through accordingly. 3) Always have an “out” prompt that allows a caller to move straight through to a live agent. 4) Keep the prompt flows of your SRS system simple and concise. 5) Ensure your SRS does not “loop” at any stage of the flow process so a customer is able to get back to a previous menu or is not left in a continuous loop. You may be amazed when you start playing the part of a customer trying to call into your business. Exceeding customers expectations of service is a sure way to increase sales and ensure your customers stay with you. Having finally reached an agent, I posed my questions to her about my plan; asking her to confirm the current details of it and how I should go about increasing my monthly spend. By this stage I assumed that the questions would be easily answered and I would be able to finish the call, increase my monthly spend with the company and live happily ever after. Nothing could be more from the truth! The agent advised me that she couldn’t answer my questions as she didn’t have the information to hand and somebody would have to call me back – within the next 5 – 10 working days! Doesn’t that seem like a long time to have to wait to want to spend more money with a business? She also proceeded to confirm my current account information but advised me that my “data” allocation was more than the figure stated on the bill that I had directly in front of me. When I questioned this she advised me that the bill was wrong and must of been an “old style bill” which showed the incorrect amount! I began to wonder what else was wrong with the details on the bill but didn’t really have a chance to get clarification as it was obvious that the agent wanted to ring off the call and end the conversation. Maybe there is a disproportional focus on AHT in this particular Call Centre. The call ended with me being advised that I would receive a call back from the business within the next 5 -10 working days from someone that could advise me how I could increase my monthly spend. 12 days later, you guessed it I hadn’t received a call back, and so the story goes on. 7) On a regular basis play the part of a customer calling into your Contact Centre to ensure that your business processes are able to support the most basic of customer enquiries and provide satisfactory solutions for your customers needs. 8) Ensure that if an expectation is set for your business to call a customer back it is met and processed within the nominated time periods. Make sure the turnaround times are reasonable and as quick as possible. 9) Have relevant information available to your staff so that they can easily process and answer any type of query they may receive. At the very least give the customer the opportunity to be able to be warm transferred to someone that can help them. 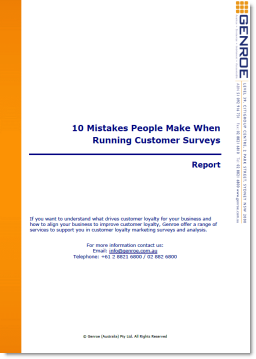 10) Ensure that your staff never utilise internal processes as being at fault for incorrect information being provided to the customer as it does not provide confidence for the customer. 11) Always ensure that towards the end of the call your staff ask the customer if “there is anything else they can help with”. You may be surprised by the number of instant cross-sell and up-sell opportunities you uncover. Capturing relevant information about a customer’s issue ensures that they are resolved quickly and accurately. The information gathered also allows your business to reduce like occurrences increasing the overall satisfaction of customers and reducing your costs. 12 days after my initial call and not having had a call back, I called again. By this stage I was not expecting the best service in the world but was delighted to be able to get through to a very capable agent who was polite, helpful and extremely professional. I relayed my needs to her and advised that I was still waiting on a call from her Company. The agent accessed my customer record, confirmed my details etc, but then came back to me and advised that there was no previous correspondence on file regarding my initial enquiry and the planned call back. Rather than be alarmed I was resolute that it was just all too hard to do business with this Company and they really didn’t want me as a customer. Cutting another long story short this agent apologised for the lack of service I had received already, answered my questions and did in fact give me some solutions to my problems. I felt incredibly sorry for her as she was totally let down by her peers and the systems which are meant to support her in her daily dealings with customers. What an environment for anybody to try and work in that is passionate about customer service and willing and able to help customers with their issues. 12) Ensure that your agents are always adding and keeping comprehensive notes to your customer’s files to give complete visibility of the nuances of your customer’s transactions. 13) Ensure that your Quality and Assurance system supports the capture of all relevant transactional data and notes to enforce the importance of this process from the customers perspective. 14) Ensure that your systems support the commitments that you make in terms of being able to call back within nominated time periods. 15) If call backs are not able to be achieved within the nominated period then contact the customer and advise that the solution is still being worked on and a resolution will be found within a newly established time period. Using Customer Feedback Systems can be a powerful way to develop your business. However these systems can also; if incorrectly set up, be counterproductive to the intended outcomes. Having almost completed the last call I was transferred to a Customer Survey via an IVR system. The Customer Feedback System asked me a series of questions about my experiences asking me to key in a response to each question. After answering these the system asked if I would like to leave any other comments regarding my experiences and if so that the system would record my comments. So I accepted this invitation and started advising the IVR of my issues and concerns. After a very short period of time (approximately 30 seconds) the system stopped recording my comments and thanked me very much for my time! To me that just summed up my all of my experiences of dealing with this Company, and did not leave me in a very positive frame of mind at all! 16) Test your Customer Feedback System yourself to see if it really is providing your customers with the right opportunities to give constructive feedback and relevant information. 17) If you’re asking your customers to leave a voice message as part of that process then allow enough time for the customer to explain their issues and don’t allow the system to abruptly stop recording their information halfway through. 18) Ensure that the data and information captured is properly utilised by the business to advance your provision of service. 19) Best practice organisations will also ensure that any comments left by a customer will be acknowledged by the business back to the customer via closed loop reporting methodologies. So in a nut shell I highly encourage you to regularly review and test your customer touch point processes and systems to ensure that you are giving your customers a positive customer experience every time they interact with you. After all happy, engaged customers means more sales, customer stick ability, happy staff and a win-win situation for everybody! this is a great piece of writing which highlights that every customer ‘touch’ is a moment of truth to deliver delight or dissatisfaction. We need to value every opportunity which our businesses receive form our customers. I think also, the fact that you have taken the customer view here is one of the most important points. If you do not mystery shop your own processes and test new and existing processes you wont find those ‘process blackouts’ that make sense internally but totally mystify and confuse the customer. I think the worst thing I read in your article is the half-hearted attempt to capture customer feedback with a 30 second window to leave a message… one may suggest the ‘qualitative’ analysis of these files in the past may have lead to reducing the time as the content may have served as a venting point for the customers frustrations. Surely, if a customer wants to talk a call back would be more reasonable a way to manage the customers and delight by actually calling them back… in less than 10 days even! Thank you for your article as always I have already shared this with our team and Clients. Thanks — yes I really think that Stewart hit some key points in this piece. I, like you, think that putting a 30 sec limit on feedback is not a good look. It makes you wonder if anyone actually listens to the feedback or if it just gets archived, never to see (hear) the light of day. He also hit upon a pet peeve of mine — agents who try to transfer you or get you off the line as quickly as possible to preserve their average handling time stats. This is a managemnt issue as they set the KPIs but it always annoys me. Why not just try to sovle the problem the first time.